TianDe Toothpaste - "Liquid Calcium"
efficiently removes dental plaque, prevents the appearance and development of tooth decay, rebuilds damaged enamel. Clean your teeth twice a day. Do not swallow. 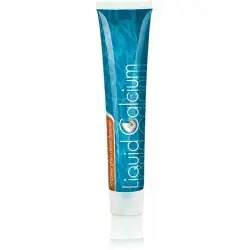 liquid calcium, sodium benzoate, food blue 1.
sorbitol, silicon dioxide, distilled water, sodium lauryl sulfate, glycerine, citric acid, fragrance, menthol, sodium fluoride (0.082%), liquid calcium, sodium benzoate, food blue 1.